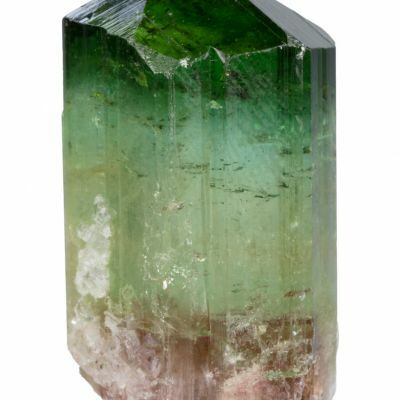 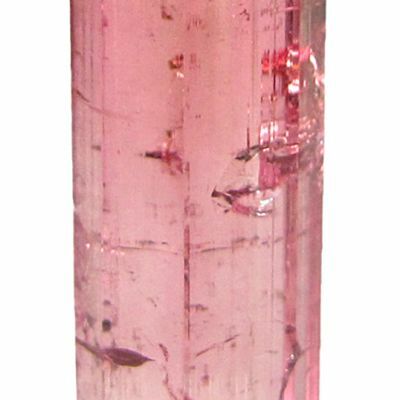 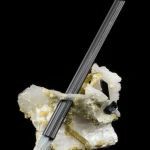 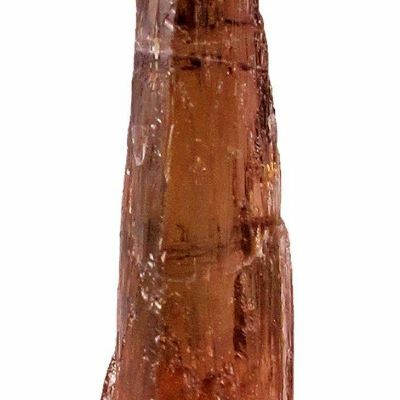 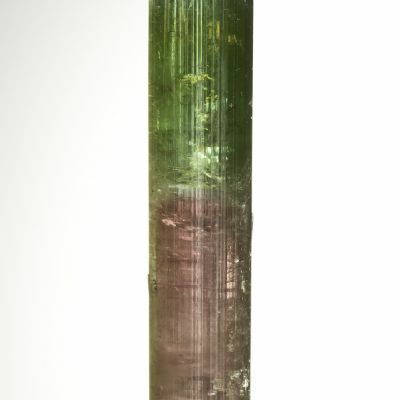 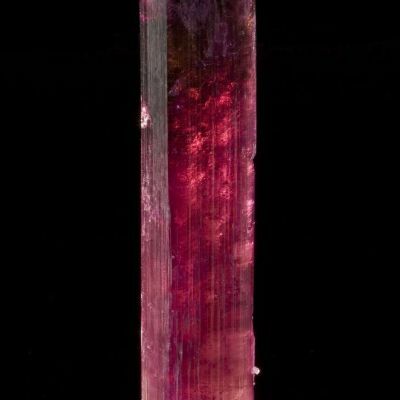 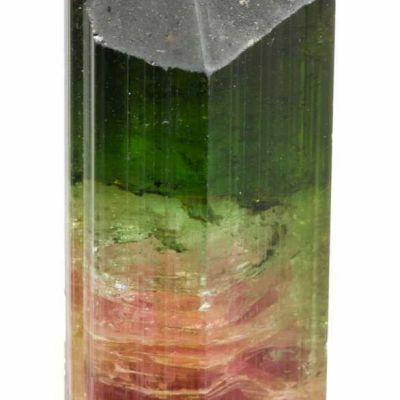 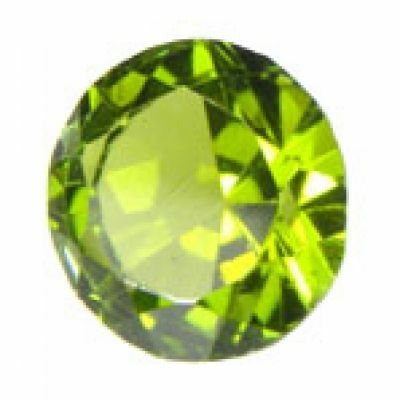 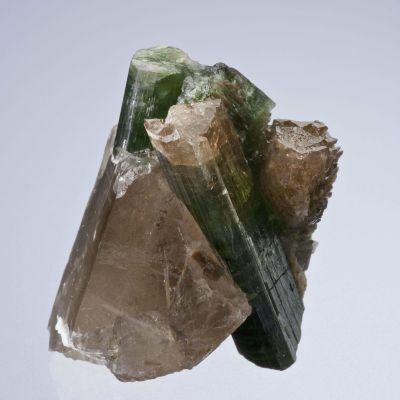 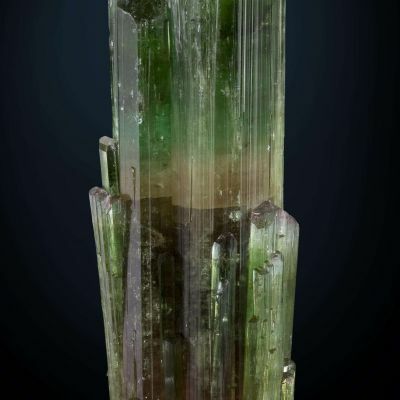 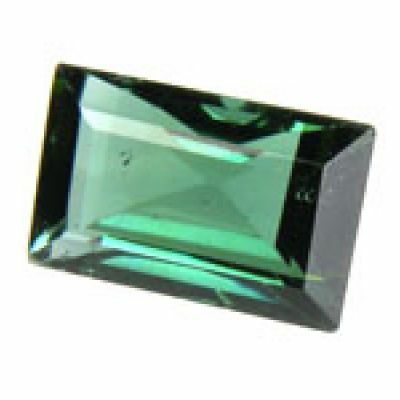 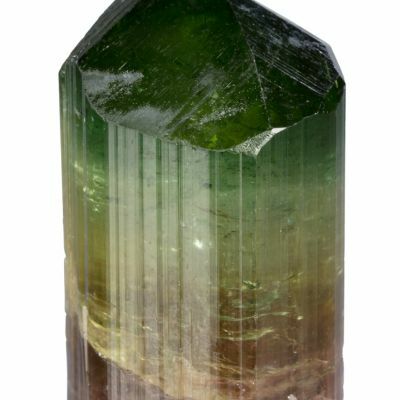 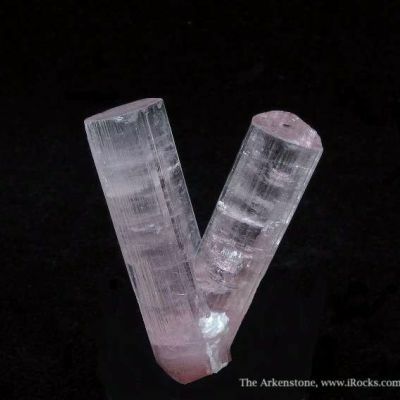 Very few bertrandites with tourmaline are known, from this or any other pocket. 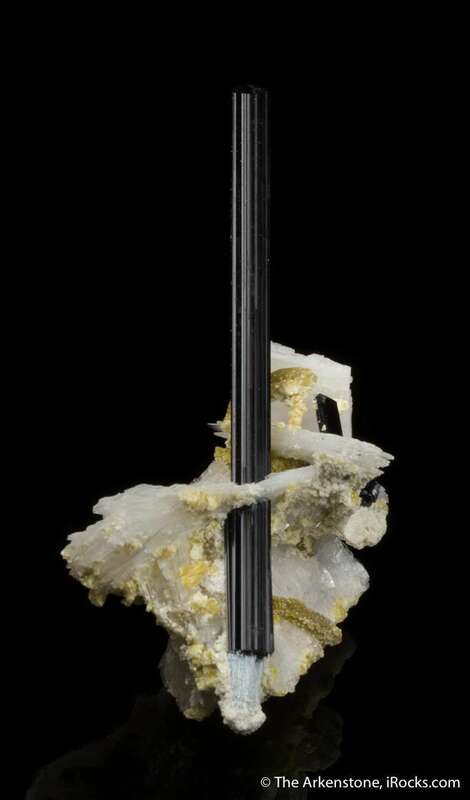 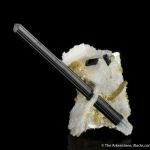 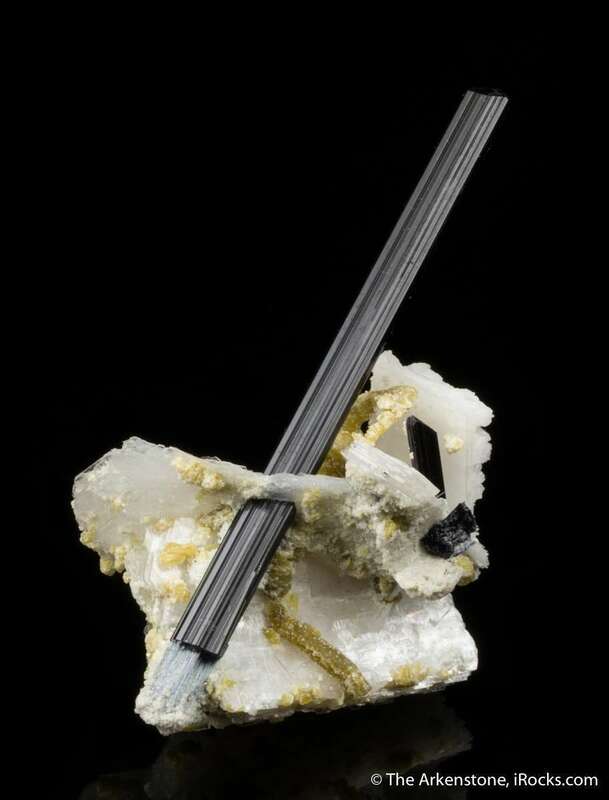 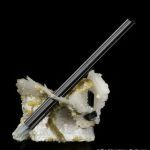 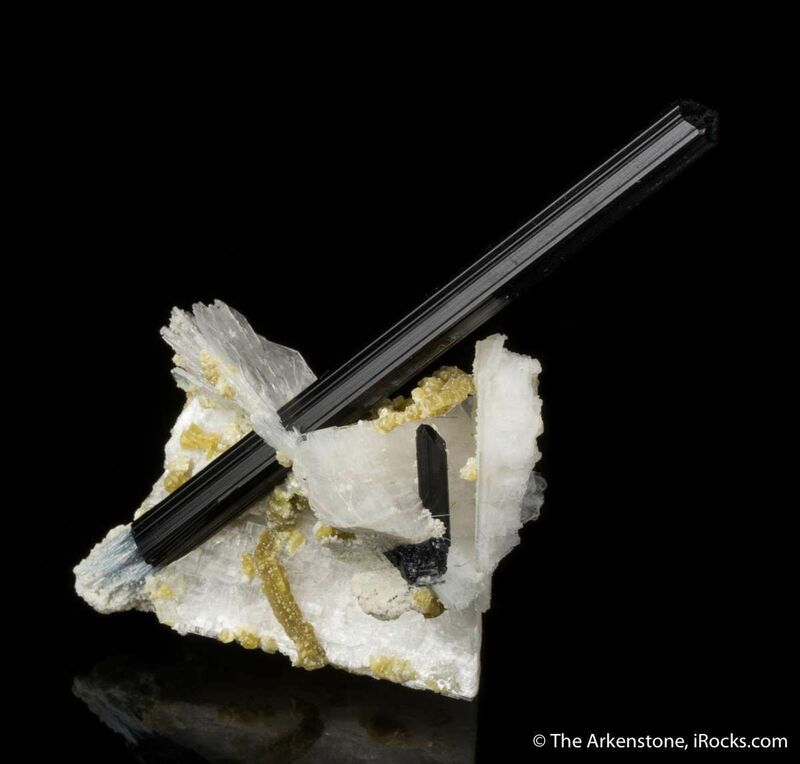 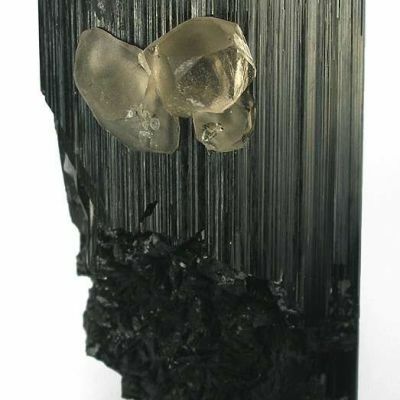 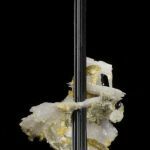 This elegant specimen shows off a slender, lustrous, black schorl tourmaline measuring 6 cm in length, that has grown right through a tabular, crystal of bertrandite. 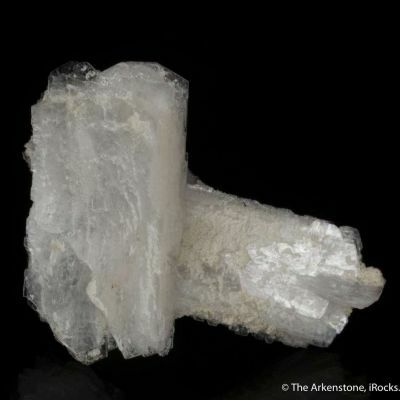 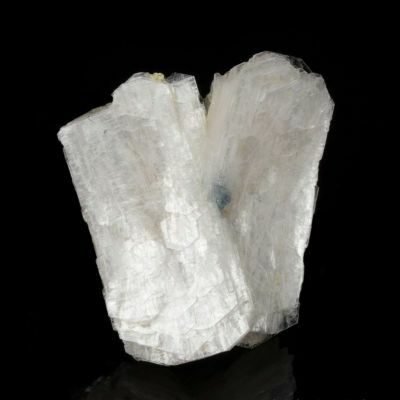 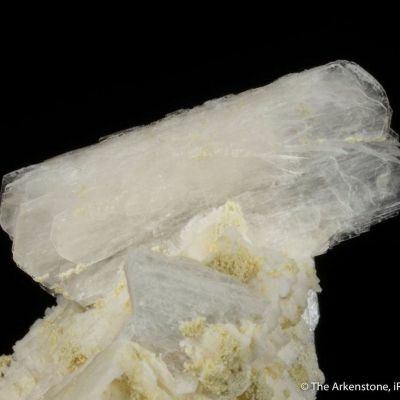 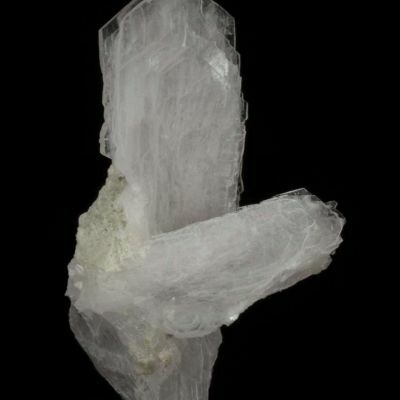 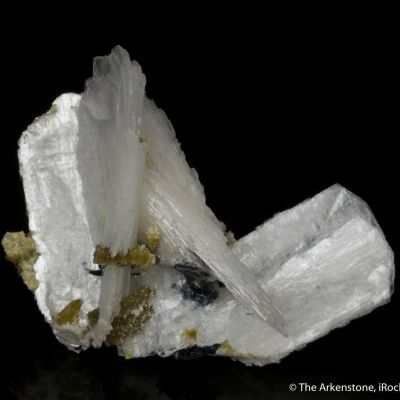 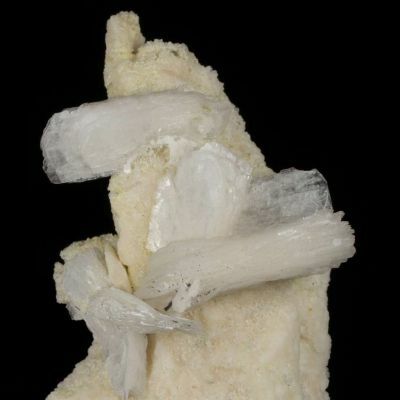 Other crystals of bertrandite wreathe the base and are pearlescent and translucent, to 2.8 cm in length. 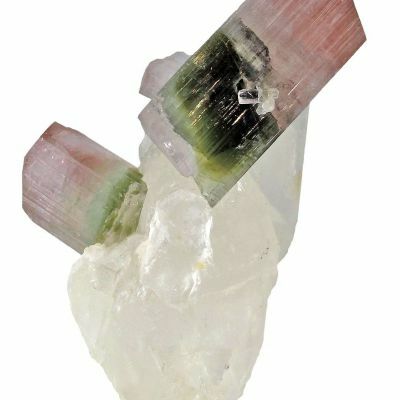 A superb combo specimen!